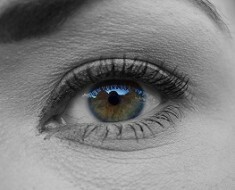 Lines around the eyes, often called crow’s feet, are as unbecoming as they sound. What can start out as tiny little laugh lines at the corners of your eyes can turn into deep set creases that make you appear much older. 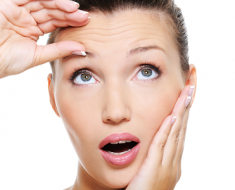 These wrinkles are very noticeable, and tend to be some of the first wrinkles to appear on one’s face. Still, there is no need to panic as there are many steps we can take to minimize the appearance of aging around the eyes. In this article, I’m going to share some amazing treatments to get rid of wrinkles around your eyes. Start Preventing Wrinkles Around the Eyes ASAP! The best way to avoid eye wrinkles is to prevent them! Staying hydrated, getting good sleep, using sunscreen, and protecting the delicate skin under your eyes with a good primer are all excellent ways to prevent the onset of eye wrinkles. However, when they do set in, there are still several ways we can treat them. Botox injections, laser surgeries, and glycolic peels are recommended by dermatologists once wrinkles have become ingrained in the skin. There are also natural treatments to get rid of wrinkles around your eyes. Should you can catch eye wrinkles in their early stages, treatments such as natural oils, hydrating masks, and tightening agents (even something as simple as egg whites) can help deliver quick results. 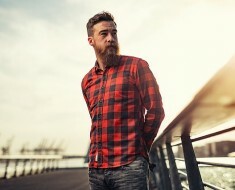 While these methods may help temporarily, an anti-wrinkle regime is absolutely necessary to halt the progress of the wrinkles that have already appeared, and to keep others at bay. Now I’m going to share some of the best creams to get rid o wrinkles around your eyes. Dermalogica’s Age Smart Multivitamin Power Firm was designed for highly sensitive or prematurely aging skin. Its vitamin compound of A, C, and E work together to provide the skin with more elasticity, reduce the visibility of lines, and gently revitalize the skin. This product also contains green tea extracts to help bring more energy and blood to the wrinkled areas for further rejuvenation. This one is very good at controlling under eye wrinkles. 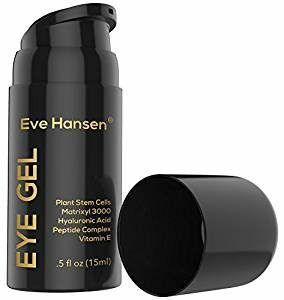 If you are struggling with puffiness and dark circles under the eyes in addition to wrinkles, try Brilliant Eye Gel by Eve Hanson. This formula uses plant stem cells, natural oils, and calming plant extracts to soothe and refresh the skin around the eyes. It is also a vegan product for those who are sensitive to animal byproducts. Another great plant based product for the eyes is Algenist’s Firming and Lifting Eye Gel. Algenist uses a newly patented formula for using micro-algae as replenishing material for skin cells. This product focuses on firming, sculpting, and tightening the skin for a more lifted, less wrinkled look. It also smooths and hydrates the skin, leaving the delicate skin under your eyes feeling supple and refreshed. While some natural products are a bit on the pricey side, OZ Naturals is a relatively inexpensive brand that still does an excellent job with skin care. Their Mega Bright Eye Gel targets lines around the eyes and extends into the forehead area which can often show early signs of aging. This gel uses natural compounds to create an anti-inflammatory formula to soothe and smooth skin around the eyes. If you are feeling as though you can spare a bit of money for a splurge, Lift Lab may be worth a try. Their Perfect Total Rejuvenation Cream is great not just for around the eyes, but the entire face as well. Lift Lab’s formula provides deep wrinkle repair, and uses cell protection proteins to rebuild and protect the skin from further damage. This is one of the best eye cream for wrinkles. Facing yourself in the mirror can be rather discouraging when you begin to see wrinkles appear. Don’t despair, and don’t ignore the problem either. Instead, find out what your skin needs and provide it with the care it deserves. 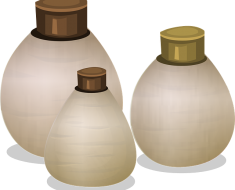 You may need an anti-wrinkle formula, a good night’s sleep, or a lot more water, perhaps all three! Don’t feel the need to buy all your anti-aging products at once, or immediately get a Botox injection.